The PRATS are making their final trip of the season. Just a short one down the road to Northampton Town’s Sixfields Stadium, we’re playing in the county cup final against a football club formally known as the football club Rushden & Diamonds. However, their name is now proceeded by AFC, what does that mean, Association Football club, A Friendly Club, A Failed Club, we can think of a few more? Looking at the list of teams registered for next season’s FA competitions there are 23 clubs that have AFC at the beginning of their name, how many were there 10 years ago? Still they are doing quite well and we may be playing against them more frequently in a few years’ time. 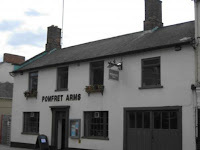 There’s quite a few decent pubs in Northampton, the link has a locale filter on it. Today the PRATS are planning to visit a couple of brewery taps. First port of call is the Pomfret Arms at the bottom end of Bridge St in the district of Far Cotton. 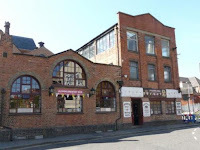 This pub is home of the Cotton End brewery which has been running for about a year. 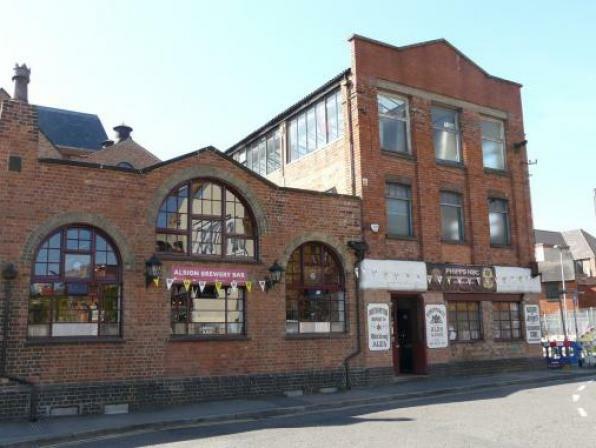 Next up just along Bridge St towards the town centre, opposite probably the worst building in Northampton, is the Malt Shovel Tavern, a lovely pub usually sporting 9 handpumps and loads of foreign stuff, always worth a visit. Then our last stop before the footy is Albion Brewery Bar home of Phipps’s Brewery, serving up at least 7 of their own ales plus a guest. Although one of their ales is named Diamond Ale, it’s actually quite nice but might give it a miss tonight.